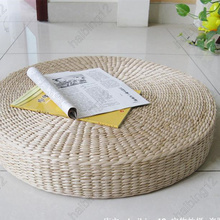 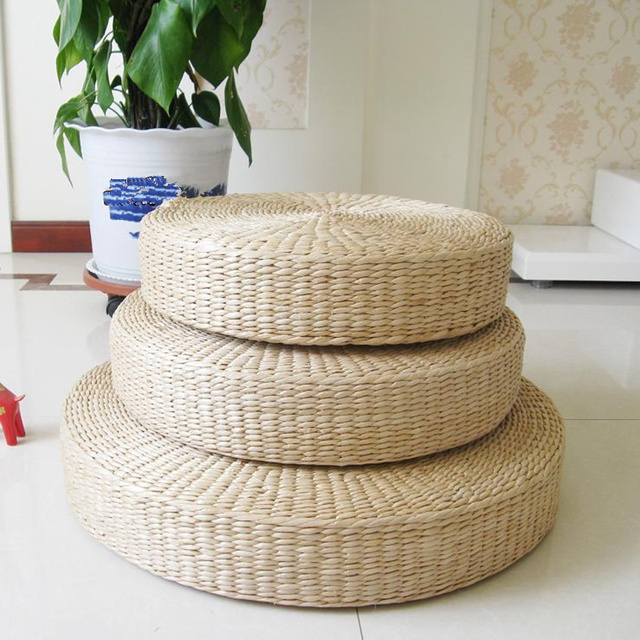 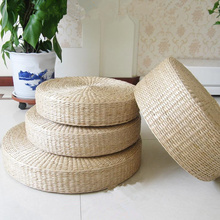 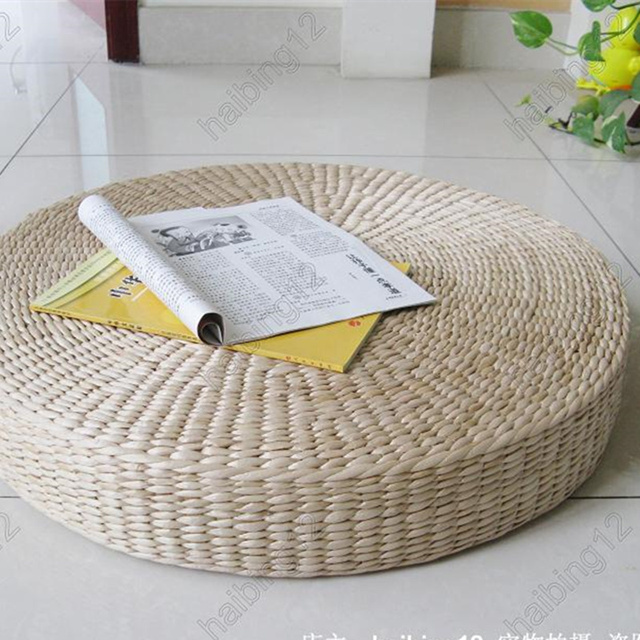 Hand Made Meditation Tatami Round Cushion – Natural Straw, no chemical processing, eco friendly. High quality sponge filling, soft and comfortable. 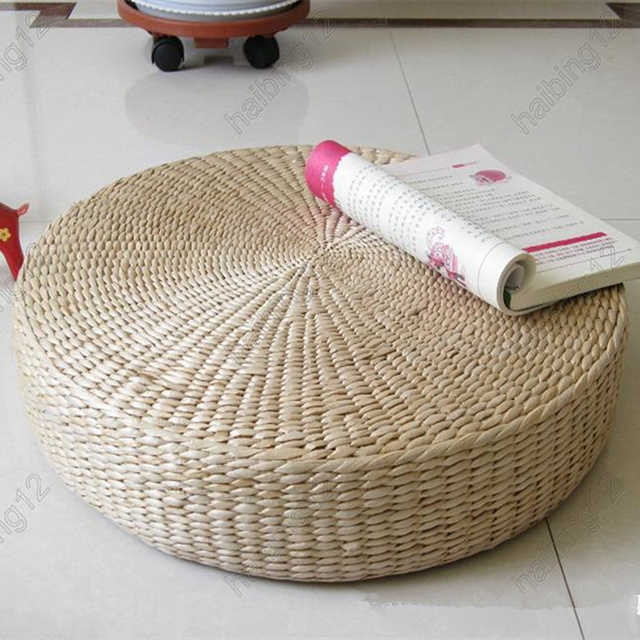 Perfect for Meditation/Yoga/Relaxation, Balcony Cushion. Gorgeous to use for Tea Ceremony or Home decor.